Screen Door, James Island, SC: now open! hell yeah its open! head out on folly road and visit one of charlestons newest culinary establishments. very proud to have worked with kit and herbie as well as our architect pals, reggie gibson and alicia reed. woody nelson of nelson sign worked with us to create some cool custom neon signs. this is a fun place, make sure you stop by and enjoy the great food, crazy cool space and plenty of parking. right on! 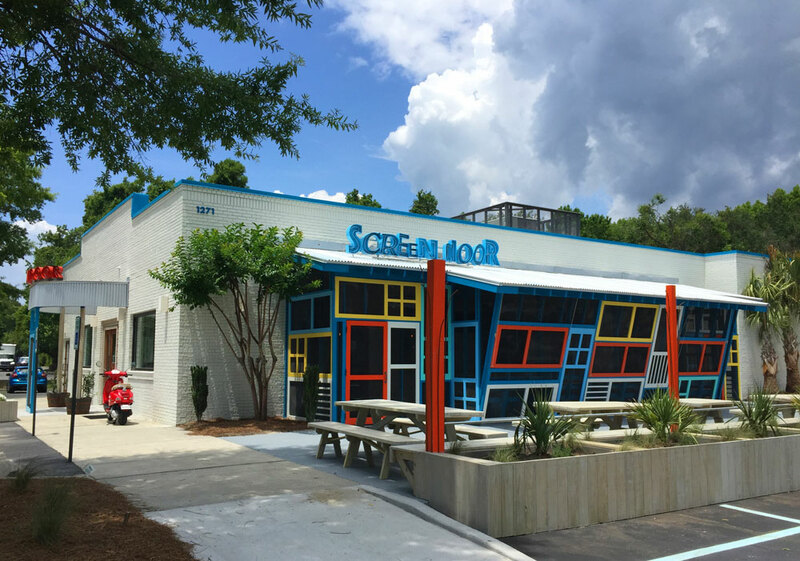 One Response to Screen Door, James Island, SC: now open! I would love to talk to you guys about creating a new logo for us and possibly an overall branding campaign. We’re located in Beaufort County – between Beaufort and HHI. We just opened our Maritime Center in November. Please email or call me at 843-321-1567.